Since 1989 Italian politics has witnessed changes that have placed it under an international spotlight. This analysis looks at this period of Italian politics through the prism of the changes of the early 1990s. Regional and Federal Studies - "This is one of the best books on the recent Italian political crisis published in English so far." ".. it is the refreshing breadth of the editors" collection that immediately strikes the reader. 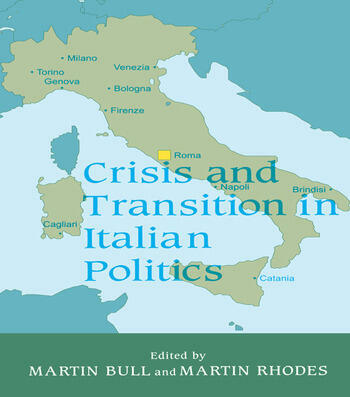 This book provides in-depth understanding and analyses of a number of critical dimensions of political change in Italy and represents a ground-breaking addition to the literature".